Innovative, personalized care for all your vein & artery problems. Vascular surgery is a specialty of surgery in which diseases of the vascular system, or arteries and veins, are managed by medical therapy, minimally-invasive procedures, and surgical reconstruction. This specialty evolved from general and cardiac surgery as well as minimally invasive techniques pioneered by interventional radiology. Our vascular surgeons are trained in the diagnosis and management of diseases affecting all parts of the vascular system. One of the onsite professional services we offer is access to our long-standing certified (ICAVL), state-of-the-art noninvasive vascular lab. This lab was the first ICAVL certified vascular lab in Northeast Georgia. Our practice is unique in that we are able to deliver innovative and personalized care in both inpatient and outpatient settings. We offer injection therapy for spider veins as well as minimally invasive endovenous options for varicose veins. We customize treatments to address the individual needs of each patient. We also diagnose and treat a variety of vascular conditions, both arterial and venous. Our Vascular Access Center is the first of its kind in Northeast Georgia and is able to serve a wide range of patients for a variety of vascular procedures. 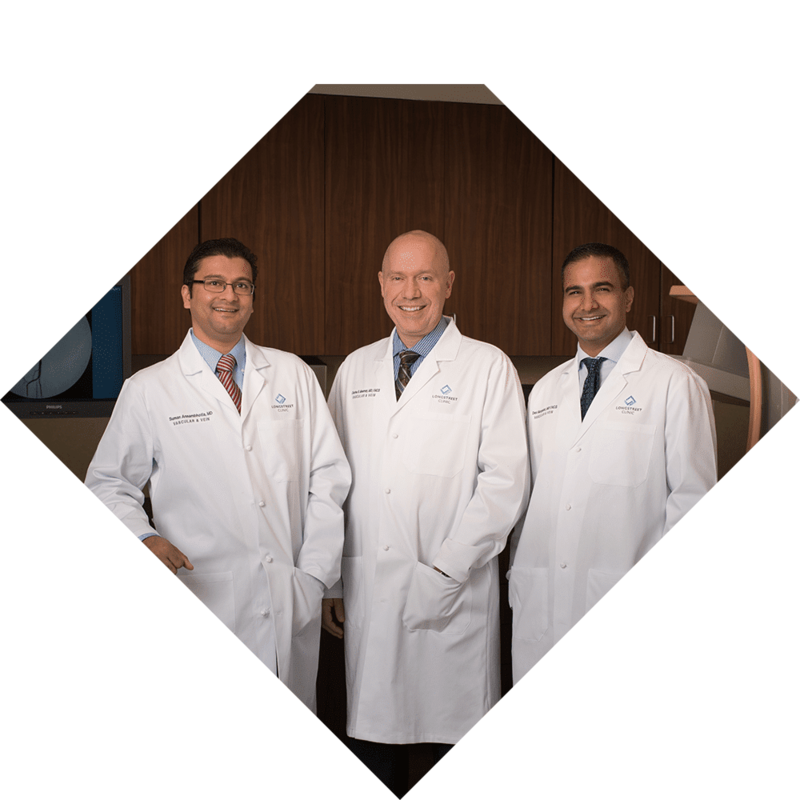 Dev Mangalat, M.D., FACS, Suman Annambhotla, M.D., Charles Moomey, Jr., M.D., and C. Dan Procter, Sr., M.D., bring more than 50 years of combined experience in the treatment of venous conditions. For more information, contact us today at 678-207-4000!